Supplemental Figure S3. 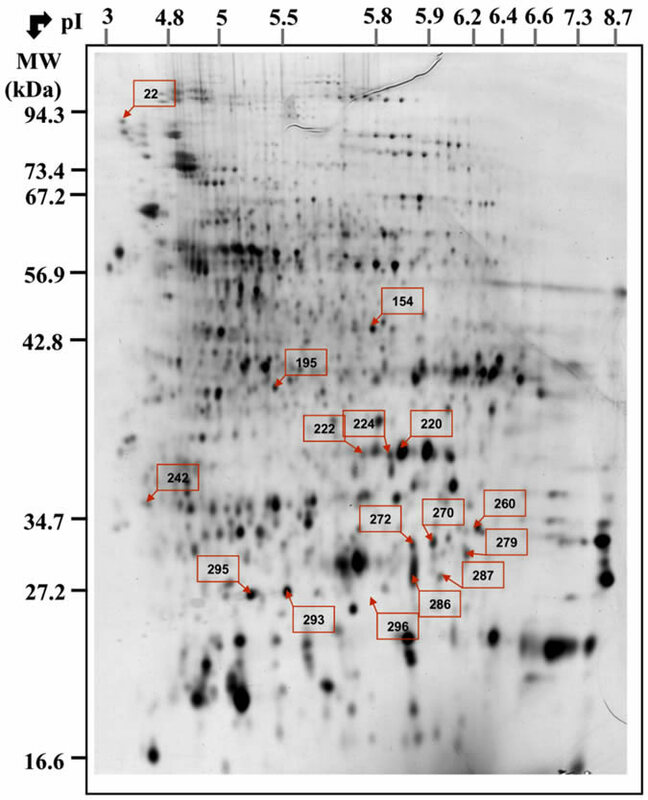 Position of the protein spots listed in Supplemental Table S4 on a silver nitrate stained 2D gel. For spot characteristics, refer to Supplemental Table S1.